Change the world, one client at a time. Estheticians blend skills and solutions to heal and soothe, improving every life they touch. They know that Esthetics is more than a growing industry full of opportunity. It’s a way of life. Esthetics is a compassionate calling and a passionate, giving career. Gain the essential skills and tools to build a future that is fulfilling and financially rewarding. Train with award-winning industry experts at a globally renowned college. Join the ranks of our prestigious alumni who are shaping the Esthetics world. Within our walls you’ll find a caring community that values compassion and nurtures confidence. You’ll meet industry insiders and expert professionals who will guide you, mentor you, and set you up for success. 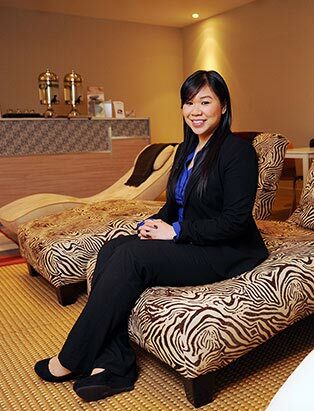 Whether you hope to open your own spa, build a home-based businesses, heal at MediSpas and skin clinics, curate compounds for skincare brands, or travel the world working for cruise ships and destination spas, our Esthetics and Spa Therapist Program can open the door to unlimited possibilities in the local, national and international industry. Join us on a journey into the heart of Esthetics, and see where your own path takes you. The creation of beauty is more than skin deep. Our holistic approach to education reaches far beyond the standard textbooks and techniques to encompass the study of a person’s mind, body, spirit and lifestyle. As an emerging Esthetics Professional you will learn to provide a total experience – fostered through effective communication and positive emotional connections – that leaves the client feeling pampered, healthy, glowing, relaxed and renewed. At Blanche Macdonald we have been teaching and advancing Esthetics education for over 40 years. To keep on top of this ever-changing industry, we continually develop and enhance our program’s curriculum to incorporate cutting edge technologies, products, methodologies and treatments. Our instructors are all experienced Esthetics professionals who will mentor you in every aspect of the industry. They will share their extensive knowledge and experience to support you on your path to your future career. Our classrooms are “learning labs” where you will gain a thorough knowledge of current spa therapist techniques, holistic and medi-spa treatments, products and equipment, supported by an understanding of basic anatomy, chemistry and physiology. You will be taught to uphold the highest standards of professional esthetician presentation, conduct, and hygiene. Developing an extensive practical repertoire in makeup, nails, body care, relaxation massage and more, you will become a skilled technician, learning how to transform services and solutions into transcendent rituals and effective remedies. And you will put these skills to practice on real clients in real time during our regular Client and Friends and Family Days. This specialized training is complemented with coaching in effective communication and retailing fundamentals, entrepreneurial studies, managerial and leadership skills, and guidance in industry specific career development. From entrepreneurial essentials to business wizardry, you will learn how to market yourself as a professional Esthetician, and build your own spa, business or brand through effective management, marketing and social networking. 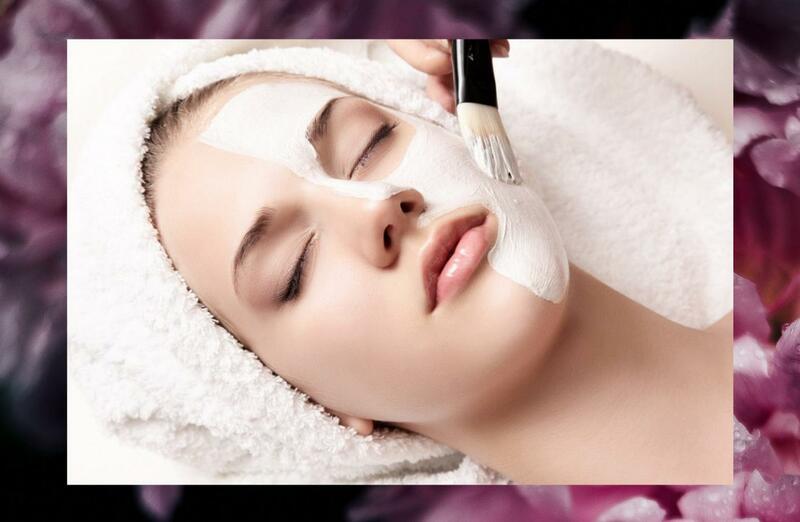 You will emerge as a qualified and multi-skilled Esthetician, ready for your journey into the professional world. Whichever path you choose, our Esthetics program will give you the map to your success. The Esthetics and Spa Therapist Program is comprised of Four Core Modules. Each Module focuses on one major area of Esthetics. The order of the modules is not set, but all four modules are required to complete the Program. Blending traditional with alternative, and art with science, our holistic approach to skincare and body care celebrates the synergy between internal health and external beauty. In this intensive module we’ll start with a theoretical study of anatomy, physiology, sanitation, cosmetic ingredients and esthetics equipment. Moving on to practical application, you’ll master facial and body treatments to soothe the skin, heal the body and uplift the soul. Guided by your instructor, you will rotate roles between Esthetician and client, learning how to become comfortable providing and receiving services. This approach cultivates the empathy and emotional awareness that are essential to your role as Spa Therapist. Take care of the body’s largest organ – the skin! Perform a winning facial by developing skills in skin analysis, client consultation, draping, cleansing, toning, rinsing, exfoliation, steam therapy, extraction, disinfection, application of concentrates, masques, and protectants, and massage for the face and back. Learn how to create a natural looking and evenly applied tan for your client with airbrush tanning and body bronzing treatments. Master the basics of cosmetic chemistry and skincare products, learn to safely use electrical equipment, and explore the latest skincare technologies and techniques. 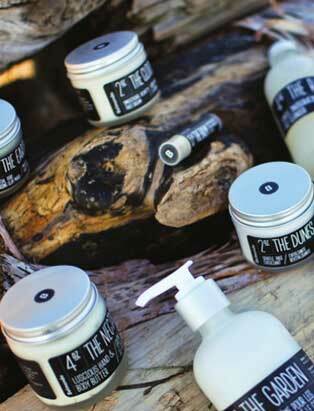 Body care means something different to each client. Learn how to create that perfect comfort level through consultation, consideration and respect. Master the essentials of station set-up, sanitation, bacteriology, draping and exfoliation as you learn how to perform body wraps, body scrubs, and finishing massage. Remove hair by tweezing and waxing, and apply eyelash and eyebrow tinting. Explore aromatherapy, ayurveda, and emerging body care trends and techniques. Master the art of massage in this hands-on exploration of three key methods from across the globe. 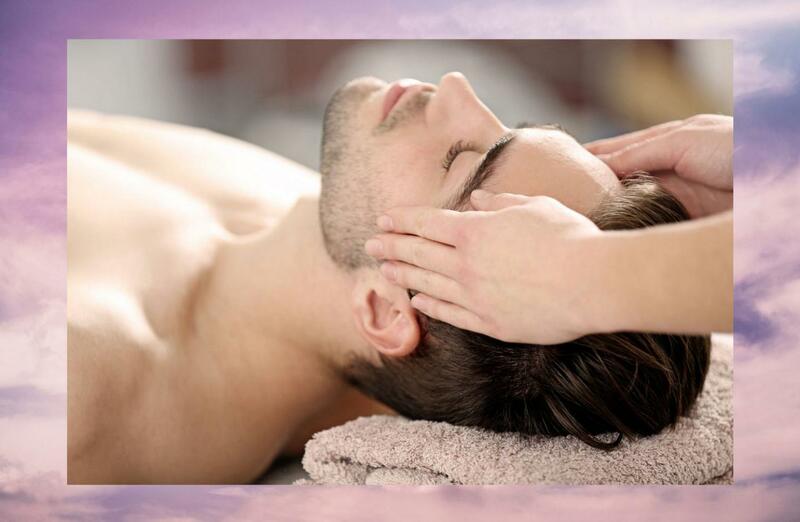 From smooth flowing Swedish Relaxation Massage to healing Hot Stone Massage and detoxifying Ayurvedic massage, we’ll show you how to create a regenerating and relieving treatment. Learn how to customize pressure and technique according to your client’s individual needs, and adopt the correct stance and ergonomic principles that will allow you to perform multiple massages during a busy spa day. Make your esthetics career good for you and the planet. We’ll explore how products and methods are being adapted to ecological and cruelty-free philosophies in the “greening” of the spa industry. From the definitions of ‘organic,’ ‘pure’ and ‘natural’ to the use of eco-friendly packaging and carbon neutral processes, you’ll learn how to meet the demands of the ethical consumer. Develop responsible and sustainable practices that communicate ethical values and create a culture of trust with your brand. Welcome to D.I.Y. Beauty – Do It Yourself! What better way to understand the principles and formulations of skincare than to create your own? Work in teams to develop your own signature product, from concept to design to marketing. Experiment with ingredients, aromatics, essential oil blends and herbs – then get creative as you develop a marketing strategy to promote your product and build your brand. In this hands-on creative intensive we’ll explore both the scientific and business sides of beauty. Explore the application of Yoga and movement therapies in connection to the Body and Mind. Discover relaxation, concentration, meditation, breathing and mindfulness techniques to create a calm, centered state for you and for your clients, and give you greater focus, creativity and awareness. Learn how to nurture the body, mind and soul through proper nutrition and a mindful approach to ritual and wellness. “Medical” or “cos-medic” esthetics is a rapidly growing industry, with Medical Estheticians and Laser Technicians working for leading Dermatologists, Plastic Surgeons, Laser Clinics and Rejuvenation Centres. 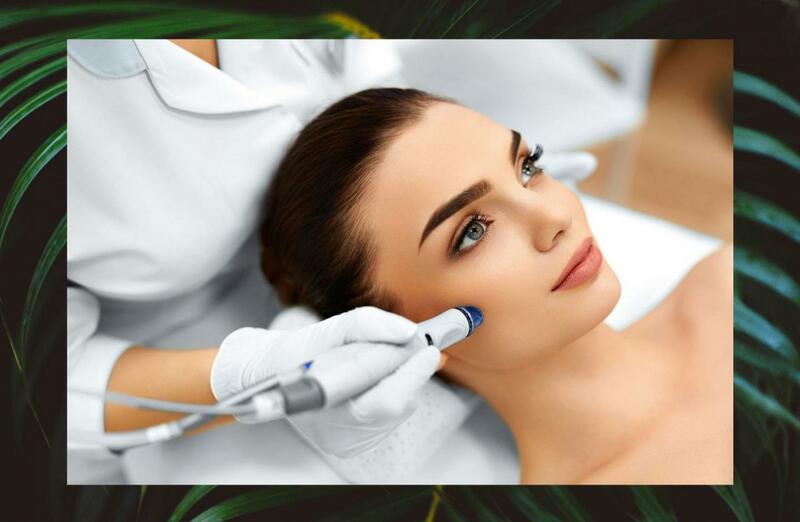 Explore medical exfoliation such as microdermabrasion, medical lasers, and light therapies for hair removal, skin rejuvenation and acne treatments. Learn about the advances in dermatology and plastic surgery from industry professionals, and discover the role of Estheticians in pre- and post-operative surgical care. Flex your Talon Talent and develop the diverse skill set to provide a range of professional nail care services to your clients. Starting with a study of the anatomical structure and composition of the hands and feet, you’ll learn about nail growth and nail shapes, and develop proper sanitation techniques. We’ll teach you how to evaluate nail irregularities, diseases and disorders to determine when it is and isn’t safe to provide a treatment. 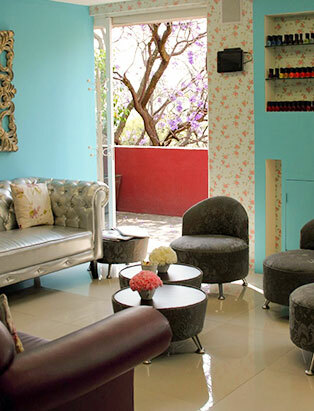 Master the art of manis and pedis, discover how to enhance your spa services with cutting edge treatments and techniques, and let your creativity run wild with nail art. Learn the secrets of an outstanding manicure and pedicure, from cuticle care, shaping and polishing techniques to the perfect soak, hand massage and finishing treatments. Refine your polish, file and nipper techniques, and master the iconic French design. Soothe away the stress of daily life and whisk your client off tired feet with a relieving pedicure treatment. Develop your nail drill skills to offer dry (waterless) manicures and pedicures. Progressing beyond basic manicures and pedicures, we’ll coach you in those special extra steps that will transform your spa service from ordinary to extraordinary. Explore a range of innovative treatments and techniques to add to your, or your spa’s, personalized menu options. Soothe your clients’ work-worn muscles with a paraffin treatment; nurture with nourishing hand exfoliants and masks; and learn the rituals of the “foot facial”. Enhance your spa concept with signature manicures and pedicures. Time to get creative! We’ll dip into our stock of top-of-the-line traditional and gel polishes to show you how to swirl, dot, stencil and speckle your way to fabulous free-hand design. Combine colours and techniques with nail accessories to create customized nail art designs. Mesmerize with water-marbling techniques, fade away with ombre transitions, and indulge your inner artist with acrylic paint miniatures. Develop the techniques to offer your nail services for grads and bridal service packages. All makeup artists begin with a good foundation. Our makeup curriculum has been created by Emmy Award-winning Makeup Director, Todd McIntosh. Master the basics of beauty makeup and learn the essentials of application as you explore colour, texture and light. Discover how to care for the skin and work with different skin types, tones, ages and ethnic groups. Learn techniques for blending, contouring, shading and highlighting, and follow industry standards for cleaning and hygiene. 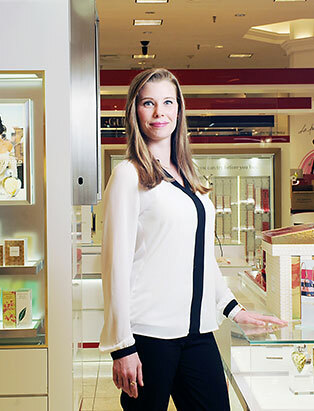 Develop hands-on product knowledge direct from industry pros at CurliQue, our Beauty Boutique. Starting with an analysis of facial shapes, skin composition and bone structure, you’ll learn how to contour, shade and highlight, and correct facial, lip and eye shapes. Building on this foundation, you will create basic day looks and then transform them into evening. We’ll introduce you to bridal and fashion makeup, and you’ll learn how to create a makeup face chart. Explore the language of colour and how it creates specific psychological reactions and fashion statements. Learn the primary, secondary and tertiary colour wheels in conjunction with colour application techniques to create a unifying colour palette. Discover how to choose and adjust colour for tonality and harmony. Learn how to distinguish and choose the most effective products for specific clients and applications. Our instructors and the Pro Team at CurliQue will guide you as you gain the confidence and expertise to create looks with a variety of products on a diversity of faces. Learn about the advances in treatment-oriented makeup formulations and mineral makeup. The makeup lab is where you get to experiment with everything you have learned. Be expressive, be creative, and let your imagination run wild as you play with colour and paint faces! Whatever avenue of Esthetics you choose to follow, you’ll need to successfully market your services and products to the world. Transfer your skills from High Touch to High Tech to promote yourself in the digital realm. Learn how to create effective on-line marketing and social media campaigns, and develop the design and search engine optimisation skills that will drive clients to your business. Learn the marketing essentials and professional practices to transform your entrepreneurial spirit into a successful career. Our Art and Tech module will give you the power to market yourself in this ever-growing industry. In our state-of-the-art Mac labs you’ll gain a working knowledge of Photoshop to create layouts and design promotional materials including Spa menus, business cards, brochures and ads. Learn how to create an effective E-Marketing campaign and design, post and maintain your own Spa website. The spa industry has its own language and culture. 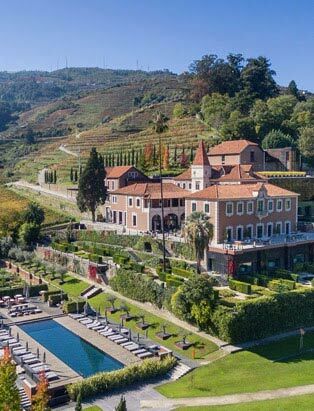 We’ll study the nature and design of spas, explore different spa categories, and examine the diversity of services to determine the ingredients for an optimal spa experience. You’ll develop an intimate understanding of the Spa business – and learn how to set yours apart from the rest. In this interactive business intensive we’ll show you how to build your esthetics business from the ground up. Learn how to structure and register your business, apply for a license, build an effective team, hone your vision and develop a winning brand. Explore inventory systems, marketing strategies, staffing, service pricing and learn how to attract and retain clients. We’ll help you develop the professional strategy to make your personal career goals a reality. The ever-expanding world of social media provides immense potential for growth. Learn how to create captivating online content and use social media platforms to glean insight into your market. Broaden the scope of your brand awareness, fortify existing client relationships, and forge new ones. Learn how to utilize your social media accounts as effective and powerful marketing tools. Connect and engage with your online community, and watch your business and personal brand flourish. A key part of our approach is providing you with continual coaching and mentoring to help boost your confidence and professionalism. We will help you understand each segment of the industry, explore the relevant career options, identify your strengths, define and set measurable goals, and create focused action plans. Learn how to build organizational strengths, time management techniques, problem solving skills and effective communication practices that will improve your success. Learn to create safe and healthy treatment environments by using the correct processes and materials, and follow Industry standards for hygienic procedures and infection control. We’ll show you how to sanitize your tools, implements, and station to create a clean and legitimized space to ease your clients’ bodies and minds. Accurate analysis of skin types, conditions, and disorders will enable you to recommend the appropriate products and determine the safest service for each client. The relationship between an Esthetician and a client is sacred. We’ll coach you in creating intuitive, caring and sensitive client relations while respecting distinct professional boundaries and client confidentiality. Learn how to consult your clients about their unique health concerns and lifestyle needs so you can customize a safe and comfortable service. Your personal presentation and workspace are extensions of that care. We’ll help you ensure your demeanor, posture and attire exude professionalism. Practice makes perfect! Throughout your Skincare & Body Care and Nail Care Modules you will practice your skills on friends, family and clients during our regularly scheduled Friends & Family and Client Days. This is your chance to test yourself within industry time standards, develop your skills in customer care and client consultation, and refine your services. Take in criticism and feedback and move forward with renewed insight. These real life experiences will help to boost your confidence and prepare you to enter the professional world. The order of the Esthetics Program modules that each student receives may vary due to instructor scheduling needs. Each student receives the exact same modules and total amount of training but the order of some modules may vary for certain groups. A selection of Blanche Macdonald Esthetics/Spa Therapy graduates and their career placements. 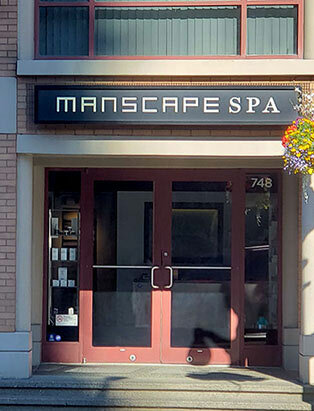 Note: Some of these Esthetics graduates may have changed positions in the interim. 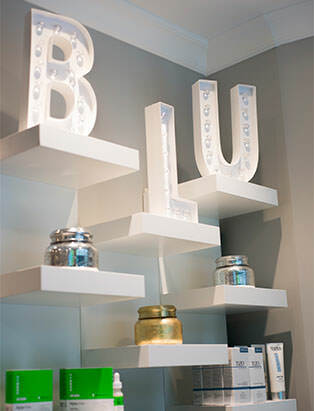 With our proven reputation, Blanche Macdonald is a first stop for Spa Owners and Employers looking for esthetics professionals. Our specialized training will enable you to work in a variety of environments including day spas, destination spas, hotels and resorts, cruise lines, medical laser and anti-ageing clinics, and in a vast array of roles including esthetician, laser technician, spa therapist, makeup artist, nail technician, spa manager, cosmetic retailer, business entrepreneur, sales rep, distributor and technical trainer. As a Blanche Macdonald graduate, a world of possibilities will be open to you. Our full-time Career Services Team will help you transform your passion into a fulfilling career. They will be your guides as you navigate the Esthetics landscape and find your place in it. That guidance is good for life. It begins on your very first day and continues throughout the evolution of your career. Our Career Directors have established powerful connections throughout the beauty industry, and it is their mission to help you find your perfect career fit. They will work around the clock to connect you with volunteer, internship and employment opportunities. They will assist you in building your network, boosting your confidence and, ultimately, crafting your own career. The origins of Esthetics are rooted in a history of healing that stretches back millennia: the sacred practice of the laying of hands, handed down through generations of therapists and healers. Estheticians are the quiet heroes of the beauty industry – humble practitioners who bring bliss and balance to the lives of their clients, communicating through the healing power of touch. That legacy of care is what makes a career in esthetics so rewarding. Esthetics is a humanitarian field, and caring for others resides at its heart. Estheticians are making meaningful connections every day. They are changing the world, one person and one service at a time. Just as each client is different, so is each career. The booming Esthetics industry is evolving everyday, transforming and morphing into every form, function and fashion imaginable. Whether it’s Spa Fusion, Eco Culture or Global Sampling, you can ­cross the globe to an exotic multi-million dollar locale or pare things down to the simplest elements with the casual comfort and intimacy of the neighbourhood day spa. As an Esthetics Professional you will be able to choose from an amazing variety of opportunities and pathways. Provide soothing services and healing hands to grateful clients as a Professional Esthetician or Spa Therapist. Realize your unique vision, and be your own boss! Open up a space of your very own as a Spa Owner. 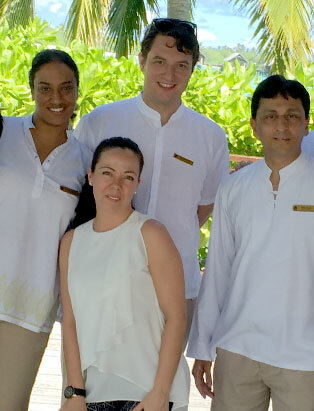 Make everyday a Spa Day and lead a team of Estheticians and Therapists as a Spa Manager. Kick your independence into high gear as a Mobile or Freelance Esthetician for weddings, special events and home visits. Use technology to improve lives and increase confidence as a Laser Technician. Perform magnificent manis and perfect pedis as a Nail Technician, or blend nail skills with creativity to create wearable mini-masterpieces as a Nail Artist. Combine creativity with customer care to celebrate colour, contour and shadow as a Makeup Artist. Utilize your technical knowledge, client care know-how and business savvy to advise major Esthetics market players as an Industry Consultant. Take your passion for product across the country as an Account Executive or Educator for prestigious Esthetics and beauty brands. Open your own business: start a mobile Spa biz, pop up a shop, or use your creativity and ambition to fill a unique niche in the Esthetics market as an Entrepreneur. Make home your base and open up a personalized Home Spa as your primary or secondary career, or to complement your existing lifestyle. Connect with customers, curate product and demonstrate your technique as a Retail Beauty Specialist, Retail Manager or Freelance Demo Artist. 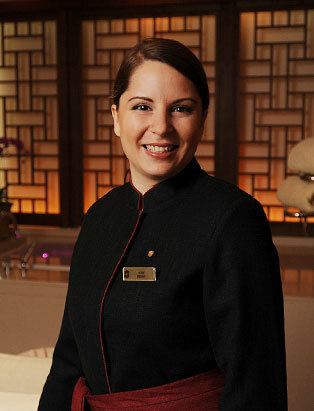 Travel the globe and offer your world-beating spa services at every port as a Cruise Ship or Resort Spa Therapist. Focus in on one brand, sharing that story, vision and concept with fellow members of the Esthetics community, as a Technical Trainer or Pro Educator. Curate product as an Esthetics Purchasing Coordinator, using your skills for inventory control, buying, purchasing and negotiating to ensure the best mix of product for your specific market. Promote your passion, build a brand and influence the Esthetics world on your preferred platform as a Social Media Professional. Share your insights and ideas as a Beauty Blogger or Vlogger, and build a subscriber base that will tune in to follow your Esthetics journey. Join an established company or brand as a Social Media Influencer, combining your Esthetics expertise with an eye for design, a keen sense of trends and an ability to engage an audience. Tell compelling stories as a Beauty Writer, captivating readers with spa news and reviews for newspapers, magazines and online publications. Develop your own product line and mix essences, compounds and solutions as a Brand Creator. Share your passion for Esthetics by passing on the tools and techniques of the trade to the next generation of Spa professionals as an Esthetics Educator or Instructor. Mix people skills with product love as a Wholesale and Beauty Pharmaceutical Sales Rep.
Delve into the business side of Esthetics as a Distributor, making sure beloved products hit the shelves. Show your passion for compassion and help to reveal true beauty as a Medical Esthetician or MediSpa Therapist. In Esthetics you have to get up close and personal. It’s touchy feely. You have to feel comfortable providing services and receiving services. Sometimes it can feel awkward walking around without any makeup on. And it can get super awkward when you have to do body care and waxing. So it’s really important to be around professional instructors and Directors who have a heightened sense of awareness and sensitivity, who know how to create healthy, safe and respectful boundaries and who are truly good, kind and caring people. They are super nice. Really real. And the best of the best. And because they have all these super powers, they bring out the best in you. It’s like learning in a botanical garden. Each practical room is accented by stunning wallpaper, specially designed and printed in the Netherlands. Influenced by the lush florals and deep colouration of the paintings of Rembrandt, the wallpaper designs feature overblown floral motifs in varying palettes. From a muted background of soft roses, to neutral borders of peonies or deep dramatic large scale florals in extravagant bloom, each classroom creates a beautiful backdrop. As an Esthetics student, you are studying with us for a full year. So it is important to us that we create an environment where you not only have the best education, the best equipment and facilities but also the best environment, creating an energy where you feel safe, calm, nurtured and inspired. People like us and we like people. We work hard and we do good work. That makes for amazing Partnerships. Our Esthetics department has developed relationships with leading brands and industry experts, giving our students direct access to specialized training, and enabling us to host exclusive events and VIP speakers. Our exclusive partnerships with highly respected skincare brands – including professional favourite Dermalogica and natural organic brands – give students the unique opportunity to work with very different lines, with different ingredients and philosophies. This holistic approach provides a more profound understanding of the contemporary industry. And recently added to our Spa menu of products is the hottest brand on the planet, the Canadian owned and Estée Lauder’s newest investment is Deciem’s “The Ordinary”. The Ordinary specializes in a whole smorgasbord of skincare solutions from retinoids, hydrators and antioxidants. 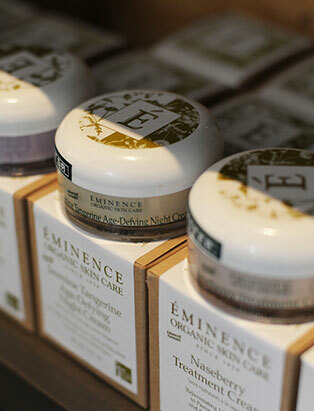 This brand literally has a 25,000 person waiting list for some of its products – and the Blanche Macdonald Centre will be the only beauty school in North America carrying its products in our Esthetics skincare kits. Note: the College reserves the right to change Kit contents and skincare brands as needed. From exclusive internships to onsite employment fairs and industry partnerships, your success is our business. That’s why we have a dedicated Careers Team focused 24/7 on career placement. Their vast network of industry contacts, top employers, powerhouse brands and exclusive agencies know that Blanche Macdonald is the first port of call for anyone seeking new Estheticians and Spa Therapists. Our Career Directors offer their lifelong support and one-on-one attention to help you find employment and opportunities – whether it’s the day you start, the day you graduate, or anytime from now to forever. This is the unbroken circle of the Blanche Macdonald family. Have spa will travel. Gone are the days of working 9 to 5 in the same deadbeat job. 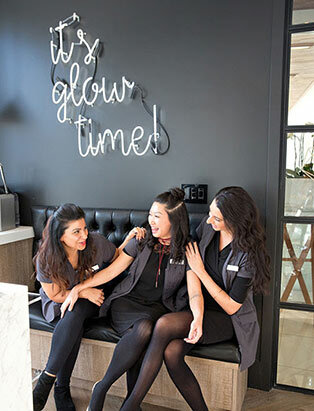 Our Esthetics grads are working as far afield as Bali, Tokyo, Mumbai, Sydney and London, as nearby as Tofino or a hop, skip and jump away to the neighbourhood spa.They’re running successful businesses and creating their own skincare brands. They’re seeing the world working on board a cruise ship and jetsetting from executive boardrooms to top international spas. They’re our grads, and they’re the leading lights of the Esthetics world. 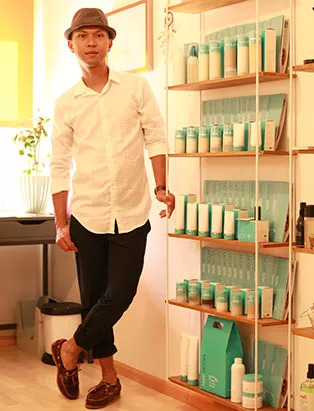 Our graduates consistently rise to the top of the Esthetics business, bringing their skills to every corner of the industry, garnering international recognition and making us proud. We want you to reach these same heights. We want the best for you. So we have lovingly crafted Programs that will train you for the industry, coach you in professionalism, help you create success and prepare you for a career in Esthetics; a career that will allow you exploration and discovery, freedom and variety, a sense of purpose and fulfillment and joy, laughter and love, ever after.